Tottenham will reportedly battle it out with Inter over the signing of Paris Saint-Germain right-back Serge Aurier as other suitors continue to drop out. The 24-year-old informed the club earlier this summer that he wanted to leave, and various European giants have been paired with an interest. As reported by Le Parisien, Juventus, Manchester City and Barcelona had all been linked with a move, but a variety of reasons have seen them all drop out of the race for the Ivorian international including signings of other options. In turn, just two interested parties remain as per the report, with Tottenham left to fight with Inter over the defender’s signing. 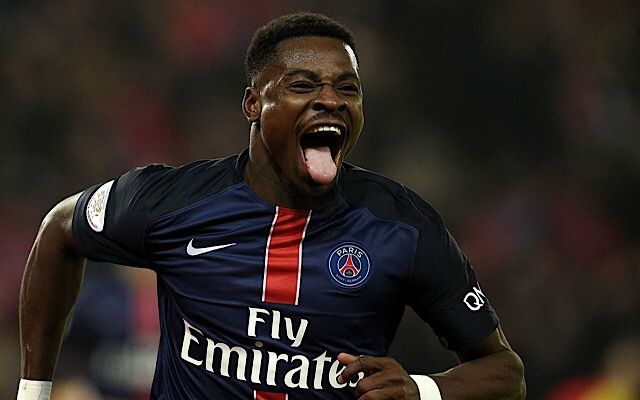 However, it seems Spurs at least are playing a waiting game as they hope the longer the situation drags on, the more likely it is that Aurier’s current €25m price-tag drops. It’s also noted by ESPN that Aurier’s appeal against a two-month prison sentence for allegedly attacking a police officer could be a stumbling block. It prevented him from travelling to the UK for a Champions League game last season, and so Tottenham will of course be keen to see that situation cleared up first before they press ahead with a transfer. After selling Kyle Walker for a big fee to Manchester City last month, Tottenham have the funds to strengthen Mauricio Pochettino’s squad and could be immediately looking for cover at right-back. Kieran Trippier will be expected to step in after impressing last season, but as the club look to compete on various fronts next season, they’ll need competition for him too.